IMCDb.org: 1995 Rover 400 [HHR] in "Kommissar Rex, 1994-2017"
When did it became 45? This serie is from around 1998, is it still 400 then or already 45? The facelift and name change came in December 1999, too late for this episode. The 45 facelift appeared in december 1999 and ZS in july 2000. Side repetitor became smoked instead of orange, like this car. 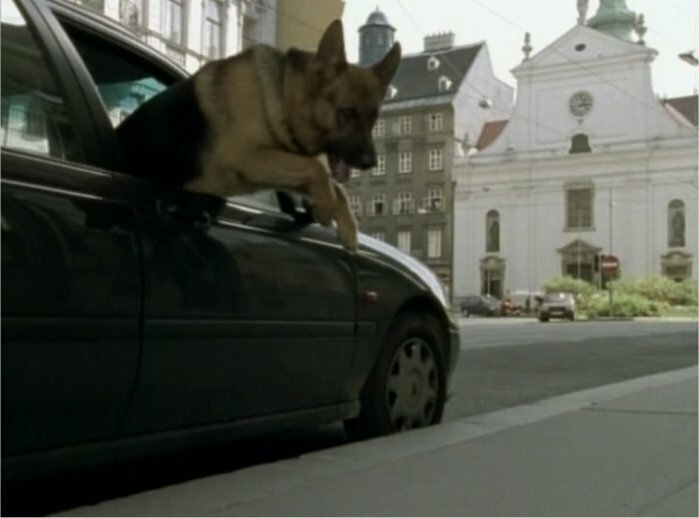 Season 4, Episode 5: Der Neue, 1 February 1998 so before the facelift was sold in December 1999 as Alexander says. I assume therefore the repeaters are orange but do not show well in the picture.